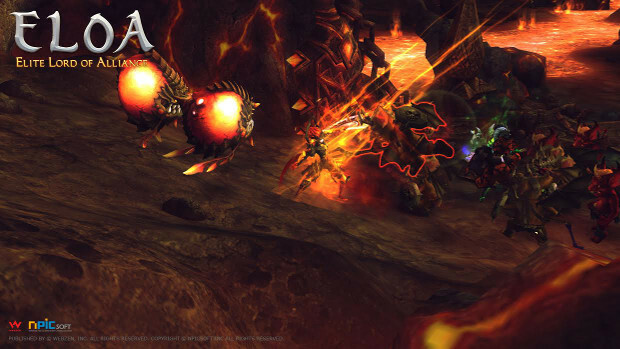 Webzen has released the second portion of Elite Lord of Alliance’s first expansion. Titled “The Smash,” the new expansion introduces several new features to the free-to-play MMORPG, including two all-new dungeons. The first dungeon, The Spirit Flame Workroom, is filled with fire monsters using flame attacks to destroy their enemies. The higher the difficulty level, the more fire a player will have to dodge. In exchange, players will be rewarded with extra items, including Pain Savior’s Set/Overpowering Savior’s Set, pauldrons, gauntlets, and more. The second dungeon introduced is the Shadow of Hallucination, which is filled with explosive traps, turrets, and melee-attacking bosses. As with the Workroom, players will receive rewards for taking on more difficult versions of the dungeon. In addition to the update, ELOA is hosting a dungeon clear event, running between January 12 and January 19. The first three players on each server to submit a dungeon clear screenshot for both of the new dungeons will be given the Honorable Phillos Uniform Collection costume. Screenshots must be submitted to the ELOA forum. ELOA player base has dropped very heavy now due to many problem. it is in a unhealthy state!